Takeaway: Whole fruits are a great way to add fiber, vitamins, and additional minerals to your diet. Fruits are great for weight loss, but some might be more suitable for your specific diet plan than others. Choose the fruits that will help you meet your fitness goals by taking the time to learn about the macronutrients found in your favorite fruit. Does a Fruit Diet for Weight Loss Really Work? The truth is that the weight loss claims about all-fruit diets are not scientifically supported or deemed healthy. It is important to consider health risks when starting a new diet plan. An all-fruit diet will deprive your body of the essential nutrients that are provided from other food sources, such as meat, poultry, fish, and vegetables. An all-fruit diet is not very sustainable and may not help you succeed in your long-term weight loss goals. While an all-fruit diet will allow you to see instant results, these results will not last very long. Once you complete an all-fruit diet plan, you will go back to your old eating habits and regain all of the weight you lost. The only way to lose weight and keep it off is to make sustainable lifestyle changes that will evoke long-term weight loss. An all-fruit diet is not very sustainable and may not help you succeed in your long-term weight loss goals. 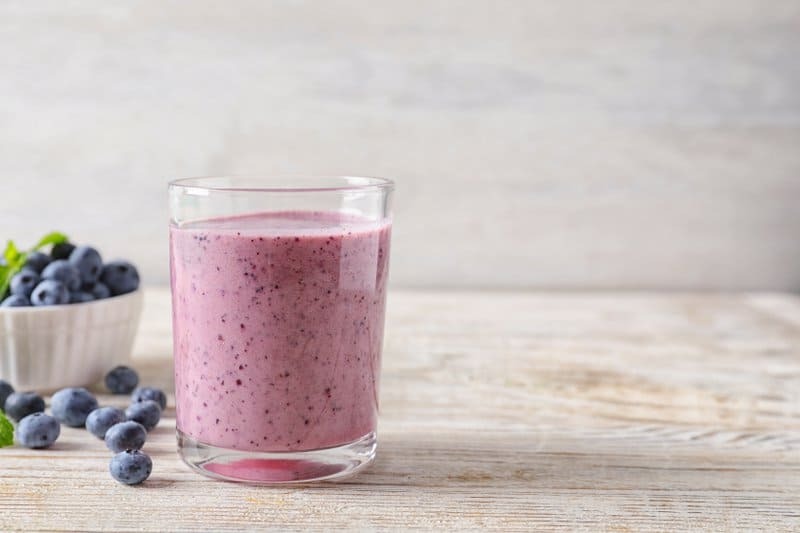 With an all-fruit diet (or any fad diet, really) you run the risk of depriving your body of some of the essential nutrients your body needs to function properly. Because fruits are an integral part of any healthy diet plan and aid in long-term weight loss, it is beneficial to incorporate them into your normal diet. A well-balanced diet that includes all the different food groups will supply your body with the vitamins and nutrients it needs to function optimally. 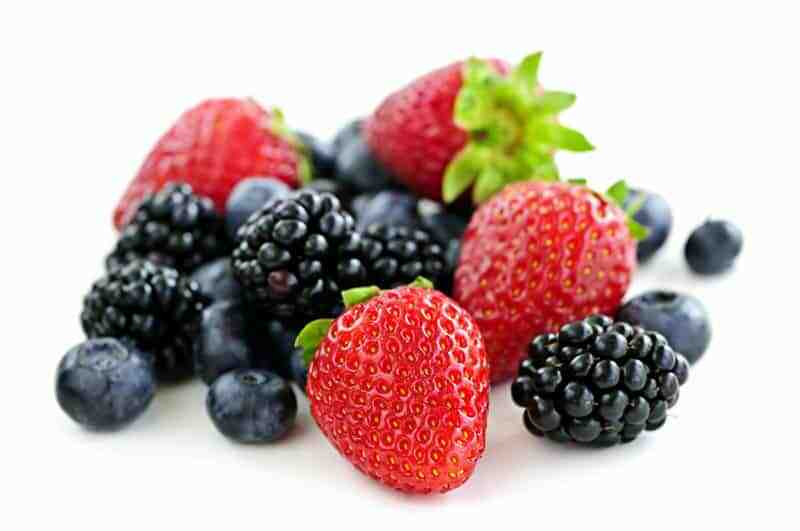 Fruits add nutritional benefits to any meal and also serve as great low-calorie snacks for any weight loss plan. They pair well with cereal, oatmeal, yogurt, and nut butter. 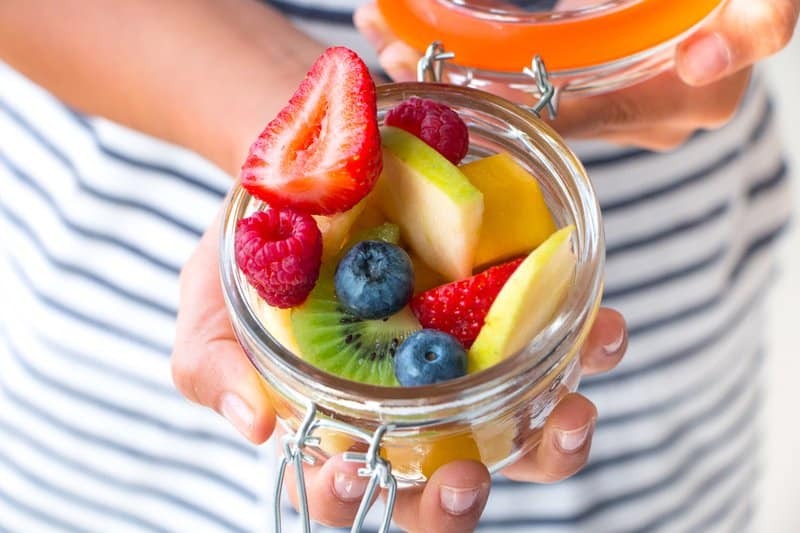 Fruits are an effective way to develop healthier eating habits and eliminate highly processed snack bars, crackers, and unhealthy sweets from your diet. 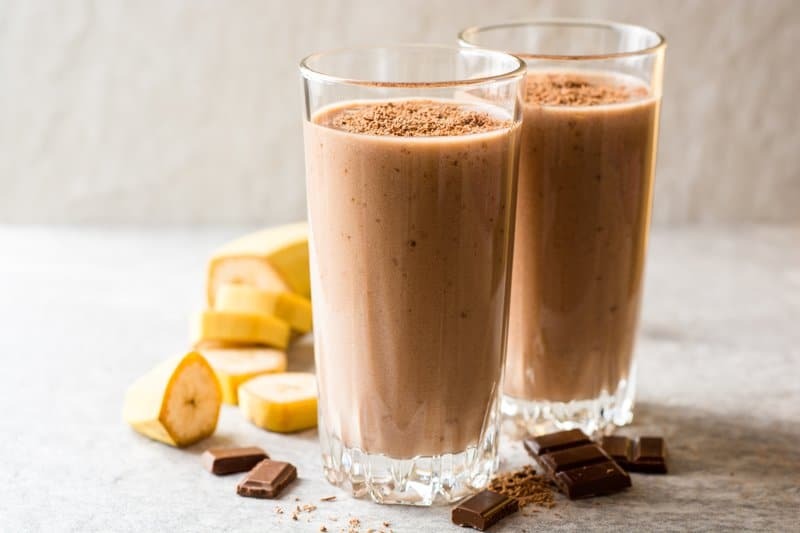 While an all-fruit diet is not recommended, a good fruit smoothie can go a long way when it comes to detoxing your body and shedding some unwanted weight. 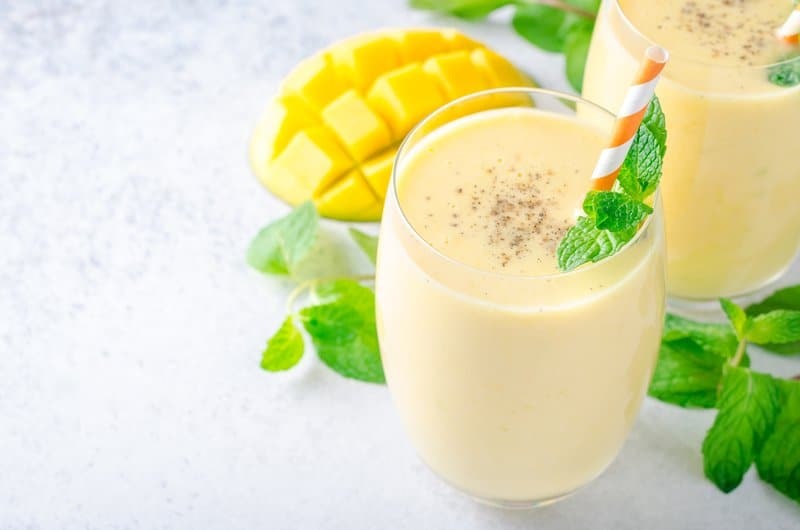 You can incorporate fruit smoothies into your diet by using them as an in-between snack, a meal replacement, or simply doing a one day juice cleanse. 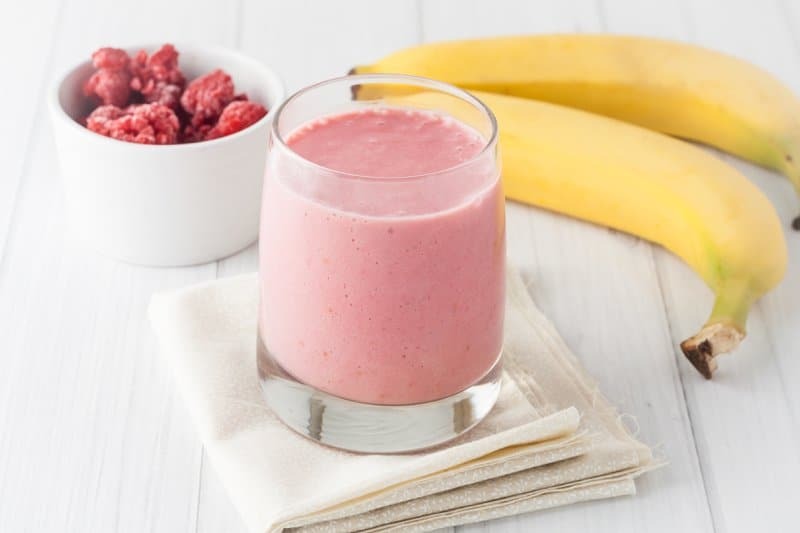 Below are some nutritious and delicious fruit smoothies that we encourage you to try! 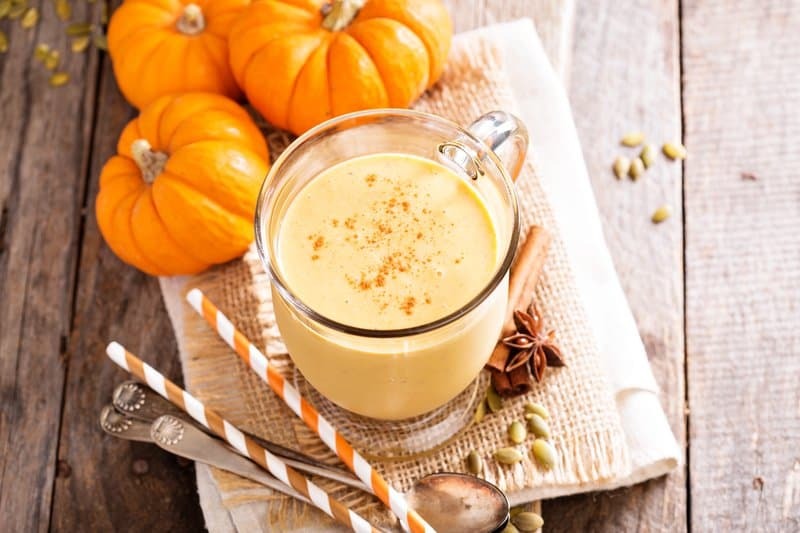 Keep in mind that you can make adjustments to these recipes as you see fit, adding protein and/or substituting ingredients that may not sit well with your stomach. 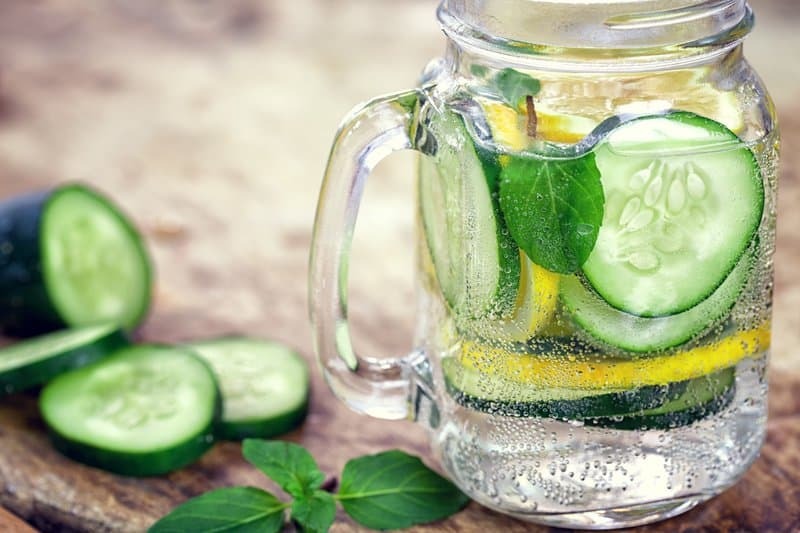 Fruit-infused water is an effective way to eliminate sugary, highly-processed beverages from your diet and meet your weight loss goals. Fruit-infused water can help you keep hydrated, refreshed, and promotes the natural detoxing function of your body’s organs. Find a decent size pitcher and fill it with ice cold water. Pick your favorite combination of fresh fruit, herbs, and spices (optional). It is important to keep in mind that most herbs carry strong flavor, so a little will go a long way. It is recommended to let the water sit for at least 30 minutes to an hour before drinking it, as this will allow the water to fully infuse. You can even make it the night before and let it sit in your refrigerator overnight. Fruit-infused water will usually last you 2-3 days. Water that has been infused with limes, lemons, or oranges might last you even longer. You can serve with ice or by itself—it is amazingly refreshing and delicious as is! The great thing about fruit-infused water is that it is highly customizable and you can always swap out any ingredients you don’t like. 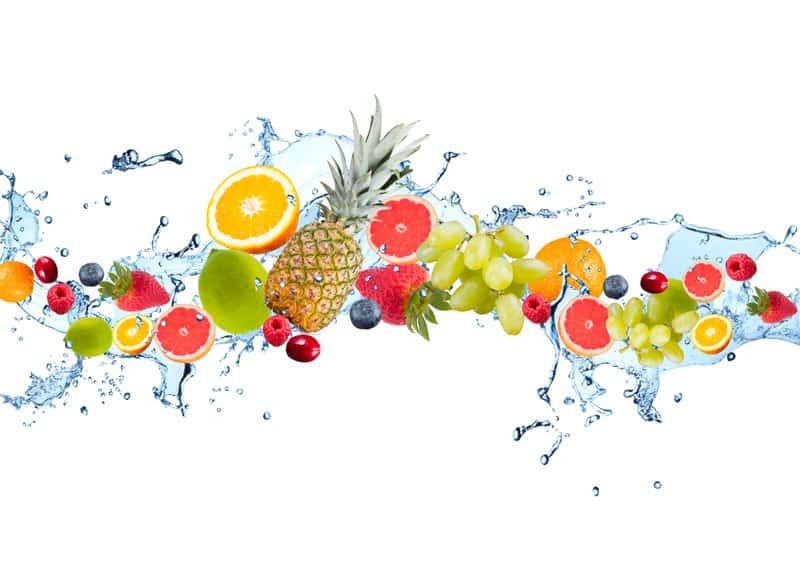 Below are a few fruit-infused water options for you to try from home. Whole fruits are an important part of any dietary plan. Fruits provide us with an abundance of nutrients that are incredibly good for our overall health. Eating fruit on a daily basis will supplement your body with vitamins, minerals, antioxidants, fiber, and essential prebiotics. Research has shown that the carbs and natural sugars in fruit actually promote weight loss, not weight gain in the body. One expert tip to follow if you are concerned about the sugar content in fruit is to opt for fruits that are naturally lower in sugar and high in fiber. Below is a list of the best fruits for weight loss and the many health benefits they can provide. 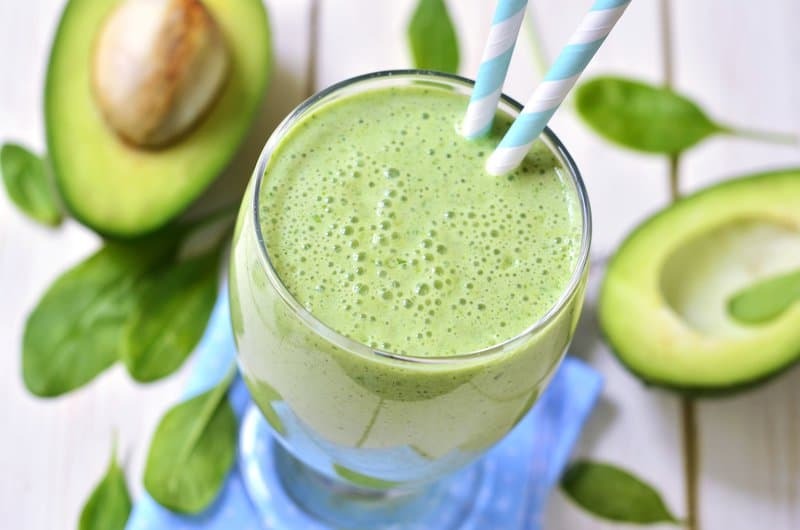 You read that correctly—avocado is considered a fruit! This fleshy, heart-healthy fruit is at the top of our list of best fruits for weight loss. 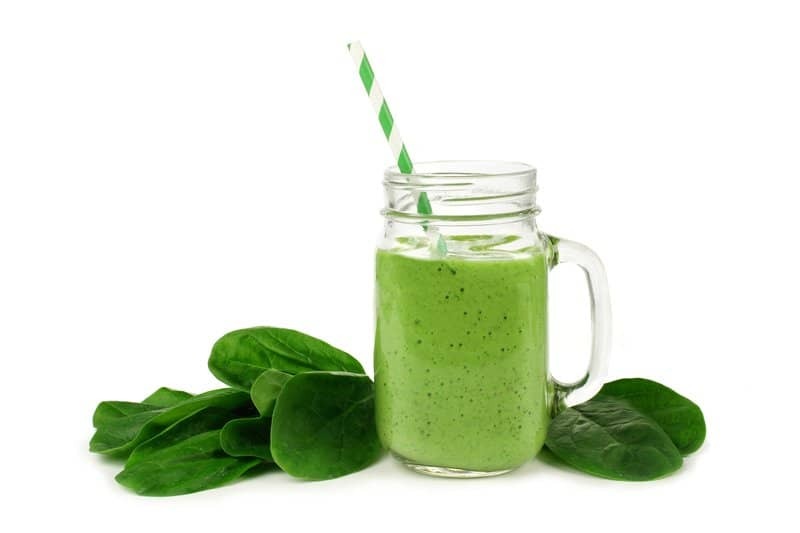 It is packed with dietary fiber, potassium, magnesium, vitamin A, vitamin K, phytosterols, and high-monounsaturated fatty acids. 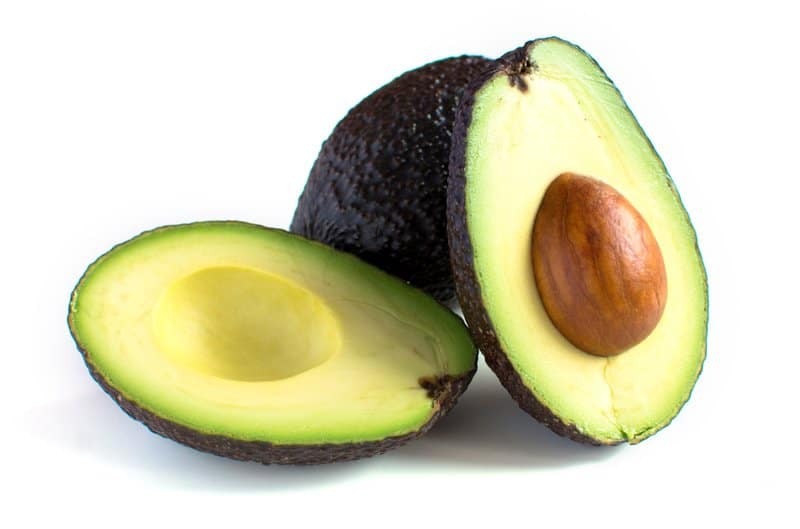 Avocado has the lowest sugar content of any other fruit (about 0.2 grams per serving). Research has shown that avocados help support cardiovascular health, weight management, and healthy aging. It has also proven to lower cholesterol, and the generous amount of fiber in them will help keep you feeling full longer. Another study conducted by the American Diabetes Association found that a diet rich in monounsaturated fat can help prevent body fat distribution around the stomach area by suppressing the activity of certain fat genes. Eggplant is often cited as a vegetable, but it is actually just a misunderstood, fleshy member of the fruit family. Eggplant is low in fat, cholesterol, sodium, and contains nutrients that are essential for good health—it is one of the best fruits for weight loss. 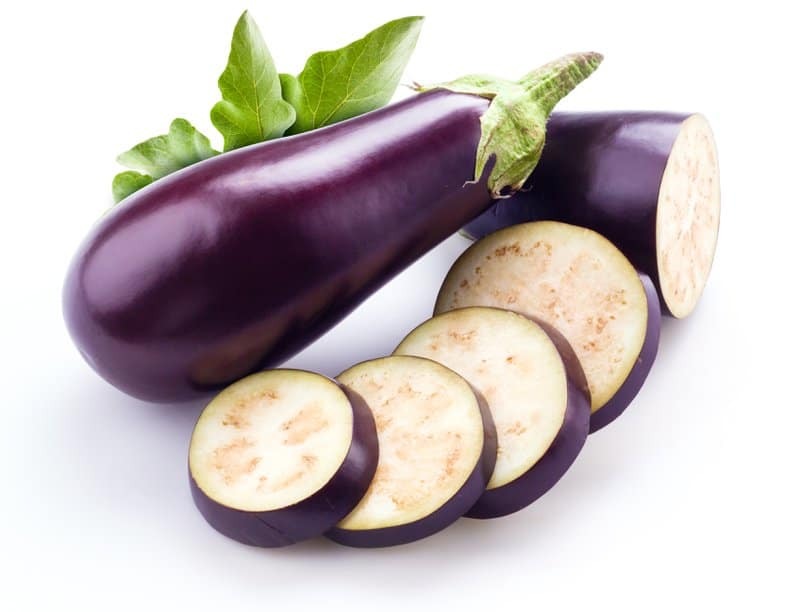 Eggplant is a good source of potassium, manganese, copper, vitamins B1, B3, and B6, folate, magnesium, and tryptophan. Eggplant is also low in calories and loaded with flavonoids that have been linked to cancer protection, regardless of consuming the fruit in a raw or cooked form. Strawberries are a great way to add natural sugar to your chosen diet plan. This nutritious food is both low-calorie and full of vitamin C. Strawberries are high in antioxidants and are anti-inflammatory fruits. Recent studies have also found that their biological activities also include improving cellular metabolism and cell survival in the body. Help yourself to one full cup of strawberries as a mid-afternoon snack—it packs less than 50 calories per serving. Blackberries are full of important vitamins and minerals, such as vitamin C, vitamin K, and manganese. It is high in fiber and may boost your brain health. One full cup of blackberries is only 62 calories. Blackberries promote gut health, improve your immune system, and can help you maintain a healthy weight. Raspberries have the ability to satiate any sugar craving you may be experiencing. You can get 8 grams of fiber and plenty of antioxidants from just one cup of raspberries. Raspberries have been shown to contain a natural substance called ketones; animal studies have found that raspberry ketones prevented an increase in overall body fat and visceral fat. Grapefruit is typically cited for being the face of the best fruits for weight loss. The low glycemic index in grapefruit allows it to release sugar into your bloodstream at a much slower and steady pace than other food products. They are great to eat with your breakfast or as a healthy snack to hold you over till your next meal. 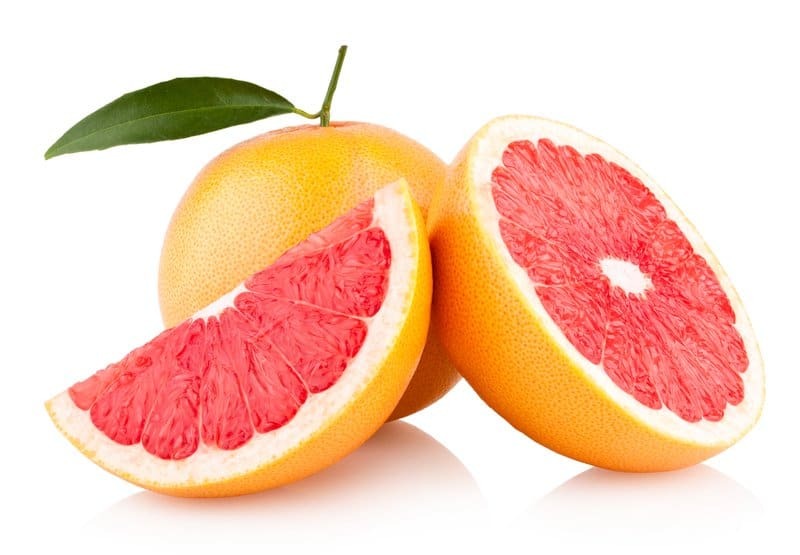 A systematic review revealed that regular consumption of grapefruit could improve blood pressure, reduce body fat, and improve your waist circumference. A grapefruit half provides 65% of the recommended daily intake of vitamin C.
Apples are low-calorie, high-fiber, and have been found to support weight loss. 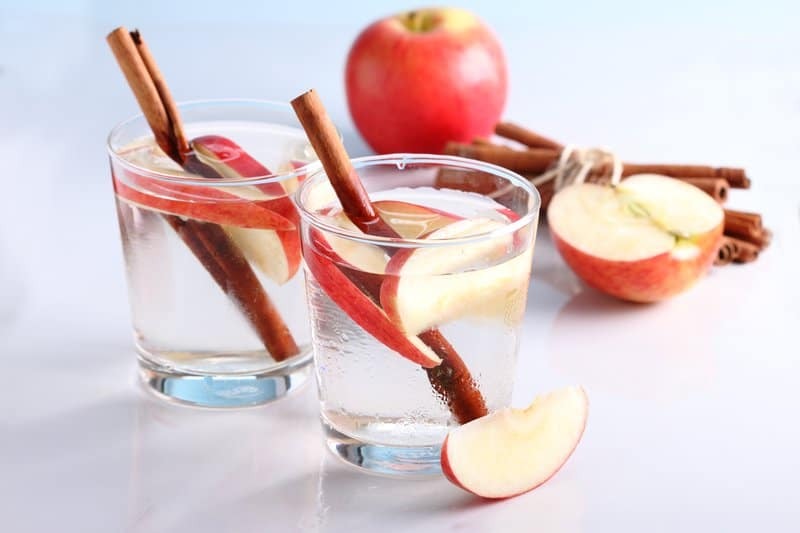 Apples can satiate your hunger for an extensive period of time—it is about three times more filling than a candy bar. 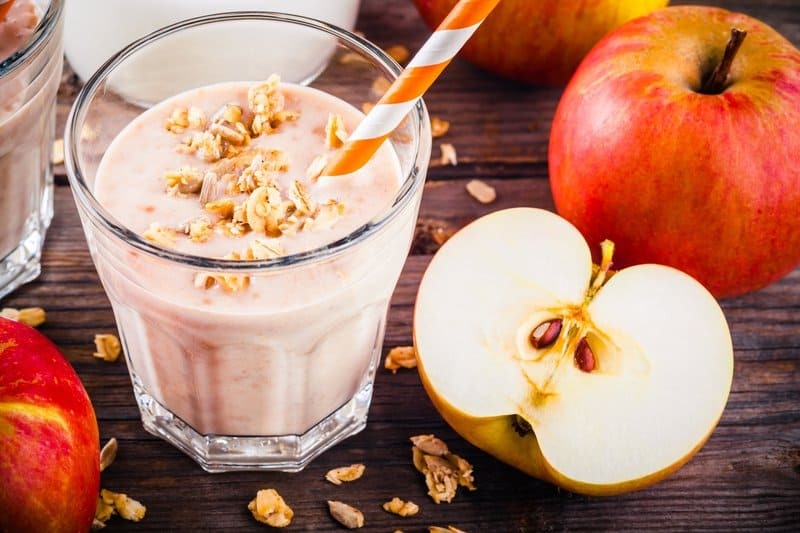 Experiments on animals and humans have shown that the consumption of apples in different forms can cause weight loss in those who are overweight. 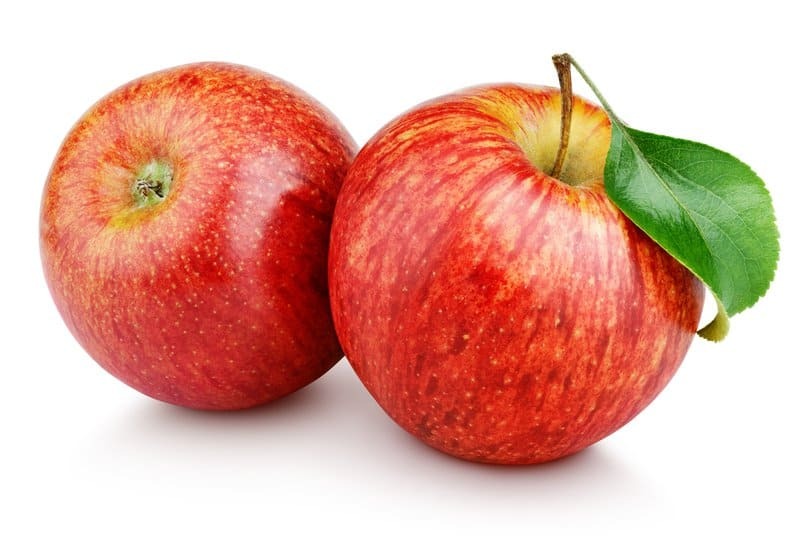 Apples do not contain any sodium or fat and make the ultimate on-the-go snack. The high fiber in them can help you stay full longer and stop cravings from arising. Additionally, they can help reduce your risk of cancer, promote heart health, and boost your energy level. 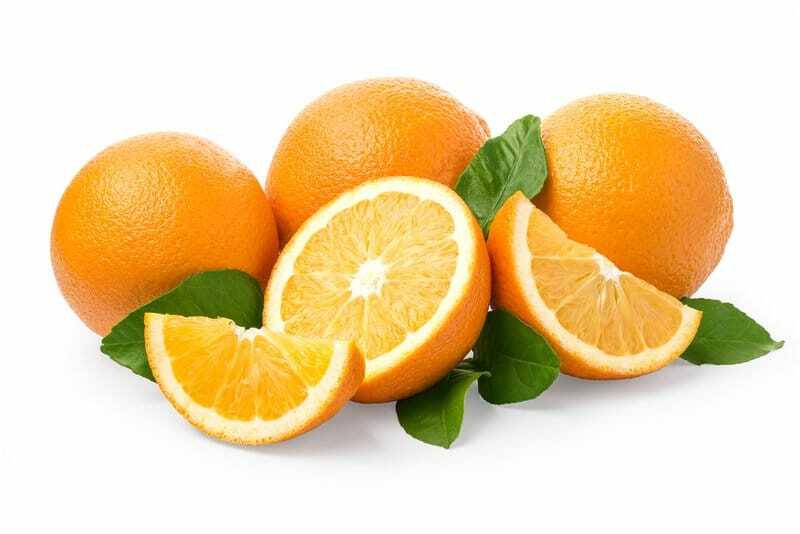 Oranges are great fruits for weight loss—they’re high in vitamin C, reduce hunger, and are low in calories. 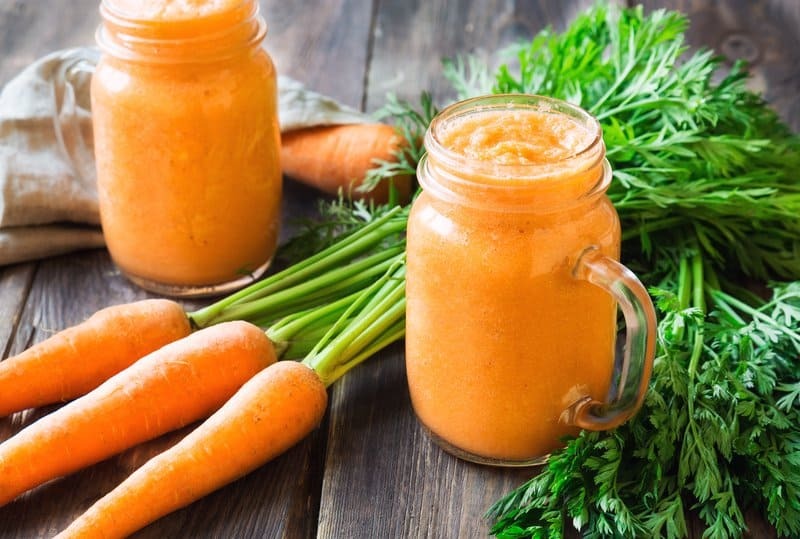 Many people think that it is just as effective to drink a glass of orange juice rather than to eat the fruit in it’s natural and whole form. 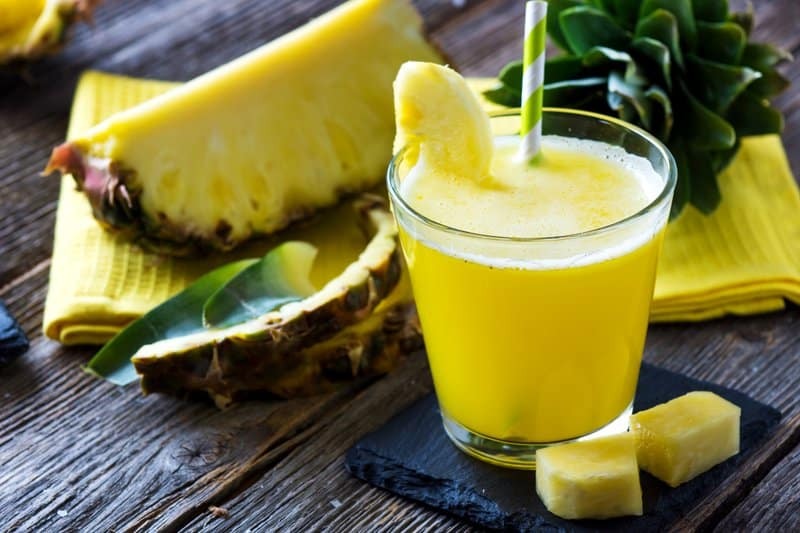 This is a popular misconception as orange juice is usually packed with artificial flavors and preservatives. The fiber in oranges is eliminated when it undergoes the juicing process and therefore do not keep you full for very long. Consuming whole fruits usually results in less hunger, more weight loss, and no added sugar! 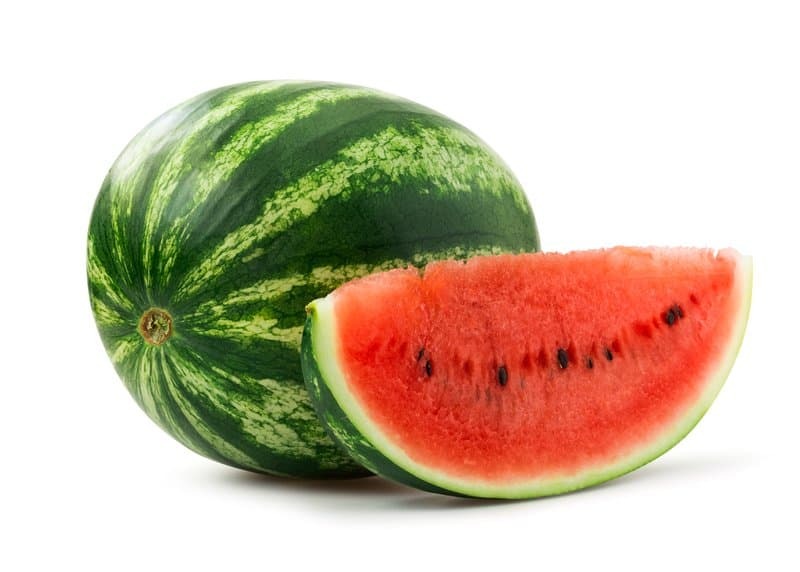 A watermelon is composed of 90% water. However, we should not underestimate this nutrient-dense fruit. Watermelon provides high levels of vitamins, minerals, and antioxidants in just a small number of calories. Watermelon can aid with hydration, inflammation, and muscle soreness. The texture of watermelon can satisfy both your emotional and physical craving for sweets because this fruit melts in your mouth—much like many savory desserts do. Watermelon makes a great dessert fruit and can help you stay on track with your weight loss goals. This tropical fruit has a sweet, musky flavor and is packed with nutrients. One cup of papaya takes care of your recommended daily value of vitamin C. Papaya also has an enzyme called chymopapain, which can relieve inflammation.Research suggests that papaya can reduce and prevent the risk of cancer. The papain enzyme in this fruit makes protein easier to digest in the body. 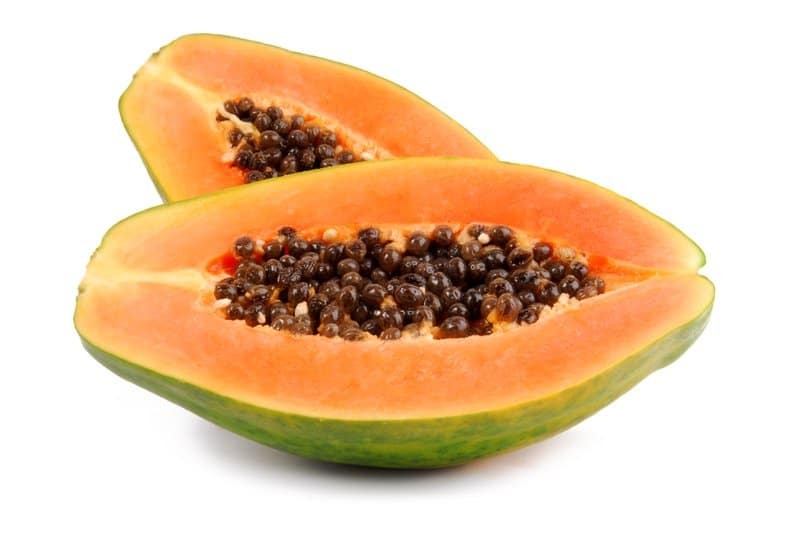 Papaya is also a great way to regulate your bowel movements and relieve constipation. It can also improve your skin composition and prevent wrinkles. 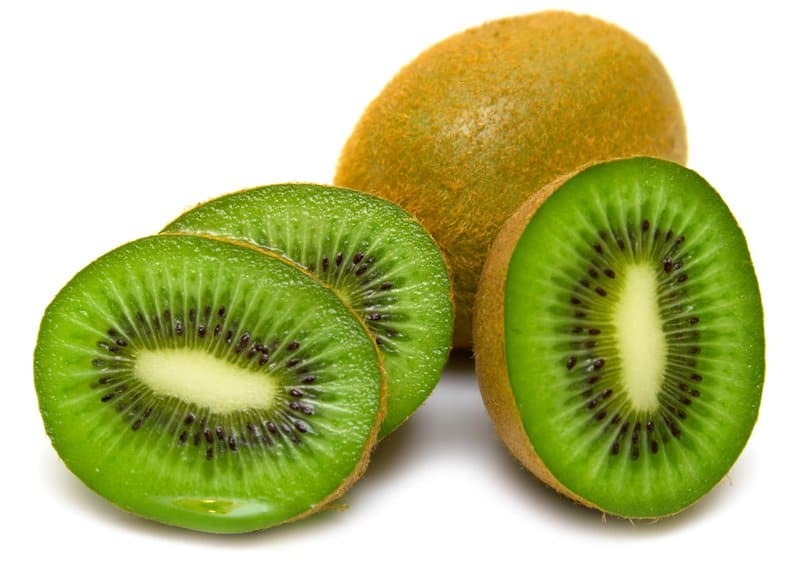 Kiwis are an excellent source of vitamin C, vitamin E, folate, and fiber, and have plenty of health benefits. Some of the weight loss benefits of kiwi include improvement to levels of cholesterol, controlled blood sugar levels, and the support of gut health. One kiwifruit has just 42 calories, making them ideal for weight loss. Kiwifruit is also incredibly sweet and pairs well with many different foods. 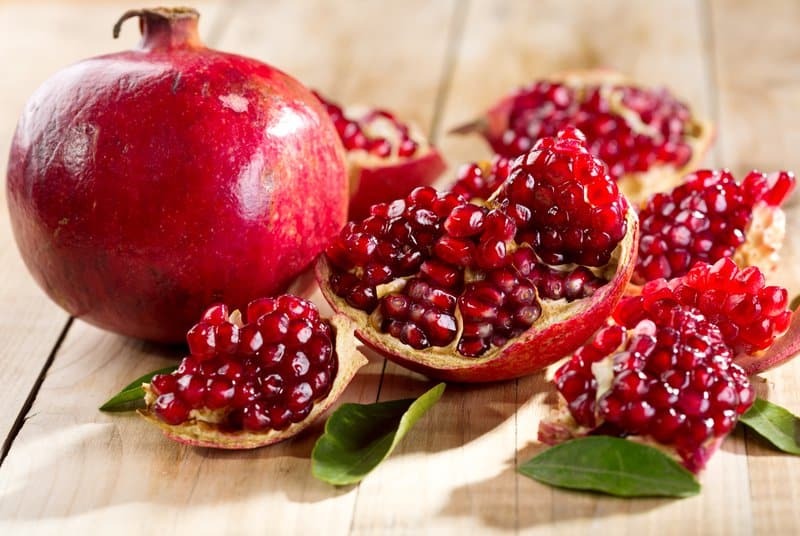 Pomegranate seeds make great snacks (especially when paired with cottage cheese) and therefore have made it to this list of the best fruits for weight loss. Pomegranate seeds have a wide range of health benefits. They make the list for natural arthritis treatments due to the flavonols they carry, which act as anti-inflammatory agents in the body. Pomegranate seeds are high in vitamin B6, vitamin C, vitamin K, phosphorus, folate, and potassium. For their small size, pomegranates carry a surprising amount of fiber. Snacking on these seeds can prevent you from overeating and help you remain full till lunch time. Bananas make the best pre or post-workout snack because of their natural sugar and carb content. Despite the 27 grams of carbs it contains, bananas are only 110 calories and help reduce weight gain. Unlike other fruits, you should only eat one banana a day if this is your fruit of choice. 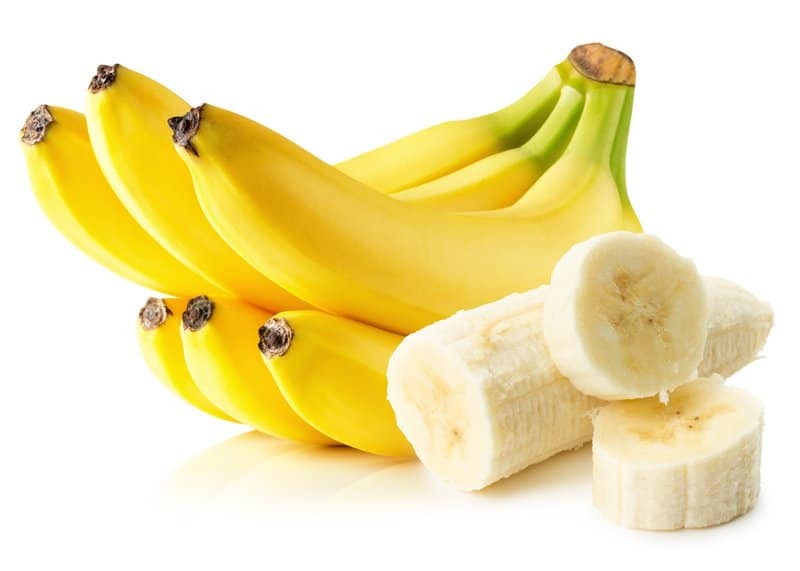 Bananas are also known to fight muscle cramps, keep blood pressure low, and prevent acidity. Besides its exotic flavor, guava has been cited as one of the best fruits for weight loss due to the numerous health benefits it offers. This powerhouse nutrient-dense food is rich in vitamin C, lycopene, antioxidants, and its 80% water composition helps hydrate your skin. Guavas are also rich in manganese which helps the body to absorb other key nutrients from the food that we eat. Guava also helps improve the sodium and potassium balance in your body, thereby regulating your blood pressure. It is one of the richest sources of dietary fiber in comparison to other fruits. 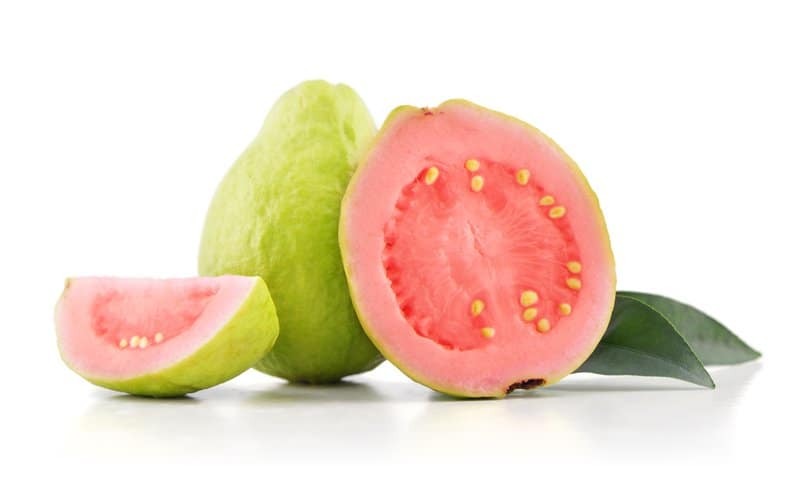 One guava fulfills about 12% of your daily recommended intake of dietary fiber, which improves your digestive health. 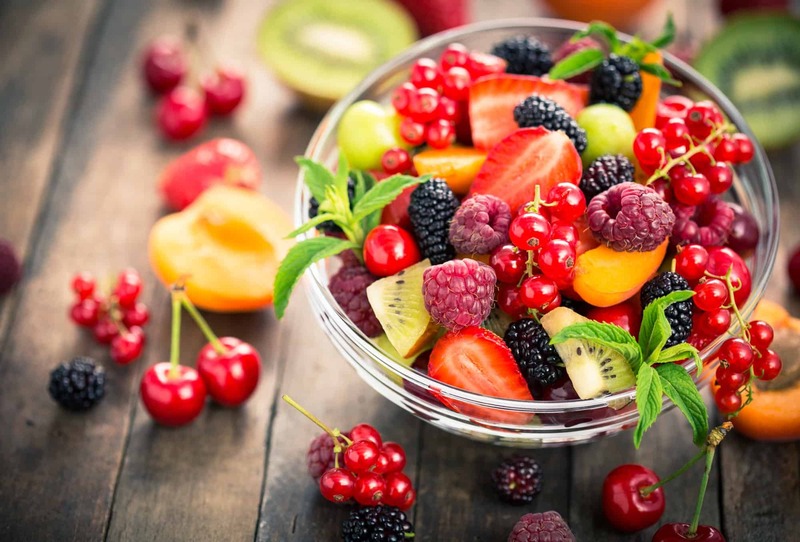 Fruits have a wide range of nutritional benefits and are generally low in calories. If you follow a specific diet—Paleo, keto, low-carb—then some fruits might be more suitable for your diet plan than others. The best fruits for you are the ones that help you meet your fitness goals, so take the time to get to know the macronutrients on your favorite fruits.